Members of the public filled The St. Lawrence Centre for the Arts to listen and take questions regarding the new area being built by one of Google’s sister companies, Sidewalk Labs. Sidewalk Labs is owned by Google’s parent company Alphabet. The company won a competition to partner with Waterfront Toronto in order to execute a project dubbed Sidewalk Toronto as part of the city’s Quayside neighbourhood. After the official announcement was made on Oct. 17, the company said the area will act as a hub for urban innovation that will help Toronto’s tech industry “improve the quality of city life.” The announcement was made at Corus Quay by members of Sidewalk Labs along with Prime Minister Justin Trudeau, Premier Kathleen Wynne and Mayor John Tory. “This critical public engagement will culminate in a master innovation and development plan that, if adopted by the board of directors of Waterfront Toronto and by Sidewalk Labs, will form the basis for the Quayside development and any subsequence revitalization of city-owned lands in the Eastern Waterfront,” the news release said. 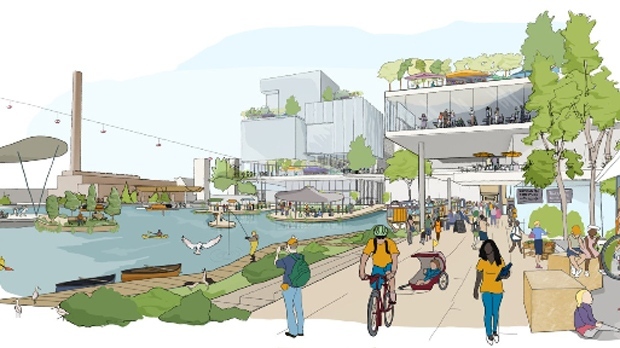 Sidewalk Labs also noted that Alphabet plans to move Google’s Canadian headquarters to the Eastern Waterfront. Sidewalk Labs has committed $50 million USD for an initial phase of the planning and testing for the project. Additionally, the federal, provincial and municipal governments have invested a total of $1.25 billion into the project to provide flood protection and infrastructure to revitalize the area.